You see a small crack in your wall, and wonder how concerned you should be about it. Your first thought it a bit of panic, but then you think, it is just a small crack – what is the harm? There really is no way to determine how serious a crack is without checking with an expert. The important thing to note is that wall cracks are a sign of your home settling, and in conjunction with other problems such as foundation cracks, sticking doors and windows, leaks, garage column cracks, and leaks, it may be a sign that your foundation is failing. Your foundation is the footprint for your home and the main support for your home. Don’t gamble with your biggest investment. Call Rapid Foundation Repair today for a safe diagnosis of that wall crack so you can put your mind at ease. For wall repair South Dakota needs, we are the professionals that can help you. Basement wall cracks usually form from pressure from the soil outside your home. The soil around your home changes frequently. When there are very dry conditions they may contract and when when there is a lot of rain or storms they expand with the extra water in the ground. The pressure created by this is called hydrostatic pressure. When the soil around your home is poorly compacted, these problems can occur more easily. When this pressure builds up it causes bowing and leaning of the foundation walls, and eventually cracking will occur and even leaking through those cracks can occur. Rapid Foundation Repair offers many different solutions for your wall repair South Dakota needs. As a homeowner you need to take this activity in your basement seriously. 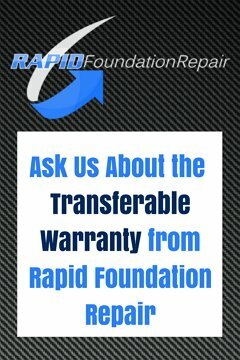 If you notice any of the symptoms above it is time to contact the trusted experts at Rapid Foundation Repair. With our engineers and installers with many years of experience, we are the best place to find wall repair South Dakota solutions. We uses the best tools available in the industry from Earth Contact Products such as helical piers, wall anchors, steel push piers, and more with expert ease to resolve your foundation problems with little to no disturbance to your home and landscaping. Contact us for an estimate today! Remember Rapid Foundation Repair for all your wall repair South Dakota needs.